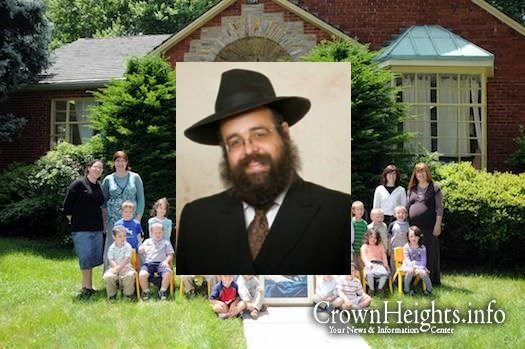 Cheder Chabad of Baltimore has announced the hiring of Rabbi Avrohom Wolowik to fill the role of executive director. Rabbi Wolowik was born and raised in Montreal, Canada and attained rabbinical ordination from Rabbi Zalman Labkowsky after attending Central Lubavitcher Yeshiva in Brooklyn, New York. His professional experience includes a wide range of teaching and leadership in Chabad schools and organizations across North America and beyond, most recently serving as principal at Cheder Chabad of Monsey. Rabbi Wolowik has also served as the director of the New Schools Division (precursor to the Chinuch Office) of Merkos L’Inyonei Chinuch, the educational and outreach arm of the international Chabad movement, and he currently sits on the Planning Committee for the International Chabad Educators’ Conference, and is the Executive Committee Chairman of the recently formed Association of Chabad Professional Educational Leaders (ACPEL). Rabbi Wolowik’s wealth of experience in education leadership will serve him well in leading Cheder Chabad into its next phase of growth. Enrollment for the 2016-2017 school year will be over 200, comprising a preschool, a girls’ elementary division, and boys’ elementary and middle divisions. “I have a great respect for the work and effort of those who brought the school to where it is today. I look forward to working together with the heads of each division as well as the board of directors in implementing the school’s vision, and I am eager to dive in and become part of this wonderful community,” explained Rabbi Wolowik. 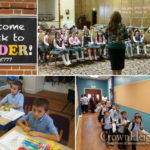 Cheder Chabad of Baltimore is the brainchild of a handful of dedicated parents and the result of the efforts of many dedicated staff members and volunteers. 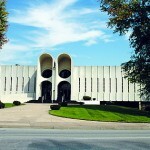 The school was founded by Rabbi Elchonon Lisbon, Mrs. Chanie Feldman, and Mrs. Alisheva Givre and operates under the auspices of the Maryland region of Chabad Lubavitch, directed by Rabbi Shmuel Kaplan. Cheder delivers a love of Yiddishkeit to its students and is committed to the success of every child. The school will soon begin its tenth year, now offering classes for boys through 7th grade and girls through 4th grade, as well as highly regarded, licensed childcare and preschool programs. The school wishes to thank Rabbi Lisbon for his years of devoted service as the school’s director, as well as Ephey Rosenbloom for his dedicated interim leadership this past year. Rabbi Wolowik will be introduced to the parent body at a general meeting to discuss the school, take questions, and meet parents next month. Hatzlocha Rabbah Umuflaga. 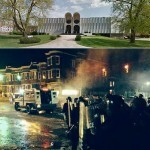 Monsey’s lose is Baltimore gain.